Finally, we have a Bush/Latin styled machete that is longer than 27″ to offer that has a wooden handle. 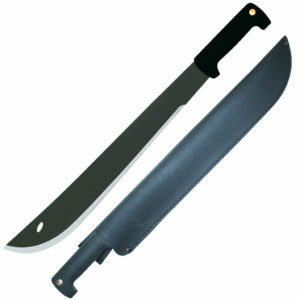 This machete is slightly heavier than the Imacasa 28 Inch Pata de Cuches that we have to offer. 2.55 mm. / 1.14 mm.